dark, cold and wet old winters day here! The heating is on and as much as it’s needed! It dries my skin out something terrible…. 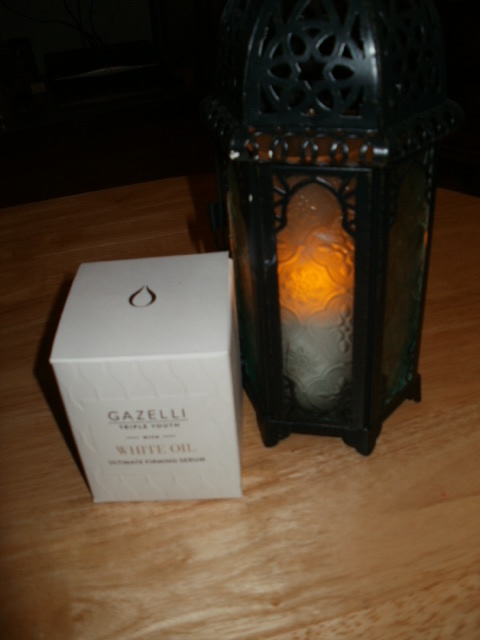 but i have been using the amazing Gazelli White Oil Serum and it really has been helping keep my skin hydrated. The perfection solution for very dry skin…it is olso a Pure Beauty Award winner for 2014! 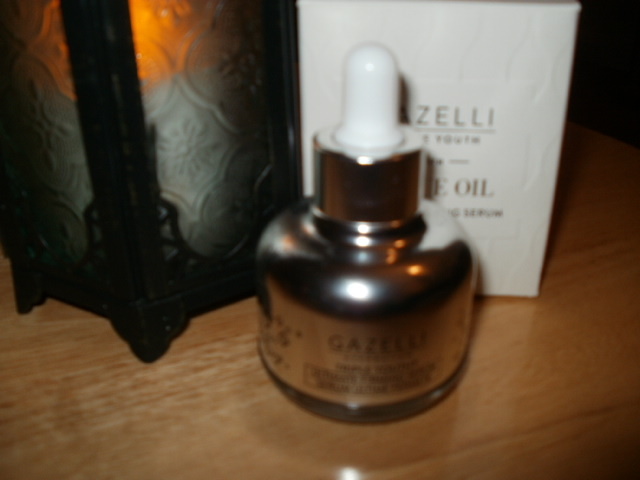 The Gazelli Ultimate Firming Serum is made with the highest concentration of the ‘Revolutionary White Oil’, which has been hailed for centuries in Azerbaijan as a medicinal healing oil, it is found deep in the layers of the earth and is hailed as a miracle healing oil. It increases the skins metabolic turnover, improving the skins ability to regenerate and increase vitamin and oxygen intake, in return making the skin more plumped up and making it appear more youthful. You can read more about the White Oil here. 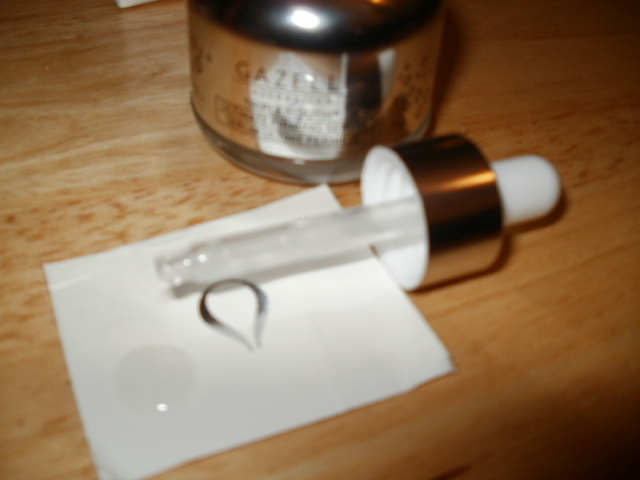 The serum is opaque in colour, with a delicate scent of white flowers which is lovely, light just like the serum :-). It is a beautifully refined serum that glides easily over the skin meaning you need very little and you can really feel it tightening and firming up the skin as it quickly soaks in. Making my pores look smaller and more refined and my jowl and chin area feel a lot firmer, I can also feel this around my orbital bone area too reducing the fine lines in that area which is just fantastic and my forehead looks and feels very smoothed. 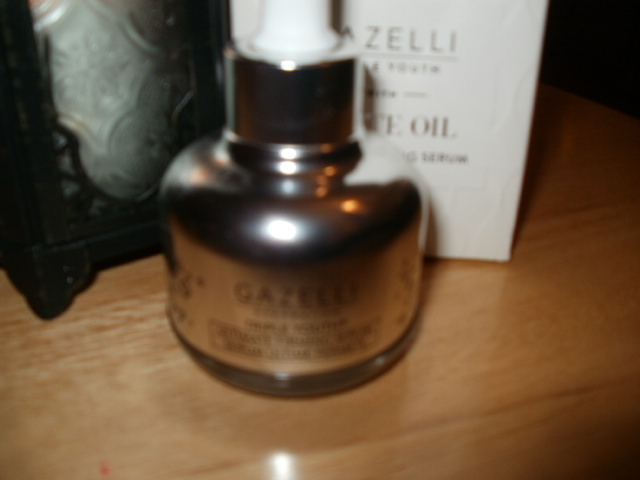 I also find I get a really good moisture boost with this serum which I really need in the dark winter days. This serum gives me a healthy glow which pretty much amazes me every time I look in the mirror as I am not as white and pasty as I would usually be. My skin looks so healthy! I have been using the serum White Oil Firming Serum hand in hand with the scrub which I have really taken to as its gentle but so effective at sloughing off the dead skin cells and revealing beautiful, hydrated, calm skin underneath. I really cannot recommend them highly enough if your skin needs a really good boost and a perk up which is exactly what it has done to my skin this winter, it has been a real skin savior! This entry was posted in Beauty, Health and Beauty, skin friendly and tagged Anti-oxidant Rick, beautiful, brightens, Calms, Gazelli, Gazelli White Oil, Healthy glowing skin, hydrates, lipoic acid, moisture boot, Plumps, Premium Skincare, protects, Pure Beauty 2014 Award winner, Reduces fine lines, refines pores, Rejuvenating, tightens, White Oil Serum on December 3, 2014 by the40somethingbeautyblogger. Hi Elizabeth i am up the north west coast of Ireland and live on a Peninsula so yes its perfect for our harsh weather! I have really dry, sensitive skin, so this post interested me a lot! Thank you for your in-depth review of the oil, I shall be adding it to my XMAS wish list! This sounds interesting. I love trying out new products but this is a little out of my price range.